The older I get and the more I learn about things, the more I realize that nobody knows nuthin’ about anything. Those self-proclaimed experts are lying. Predictions are pointless. Anyone that tells you that they know for certain how something is going to turn out is probably going to be wrong. All simplicity is a lie. It was written in the context of baseball, but it was eerily prescient given the outcome of the Presidential election. We have statistical models and advanced polling and supercomputers, and they all pointed to a decisive Hillary Clinton victory. They were all wrong. And what I think this shows – and where I think the failure of big data lies – is that people are wildly unpredictable and don’t fall neatly into models. Clearly, there’s a real anger that permeates throughout our country far more than we thought. Our echo chamber on Facebook and Twitter is not how the majority of this country thinks and feels. I had trouble sleeping last night and woke up this morning with a feeling of profound anxiety. Then I took a shower and started feeling a little better. The sun still rose, the subway still came, I listened to my morning podcast, had my two cups of coffee like I always do, and life goes on. My mom texted me ‘it will be OK’ and I think that’s right. Things will be OK. They have to be. But I can say that from a position of immense privilege. Things might not be OK for immigrants or Muslims or women or the LGBT community. And the new wave of anti-Semitism that’s been popping up on social media is absolutely terrifying. So part of me doesn’t know if things will be OK. I hope they are. I was in London a few months ago. Everyone was fresh off the panic of Brexit, and people were endlessly fascinated with the US election. As soon as someone – a cab driver, a barista, a random person on the street – heard my American accent, they immediately asked about Trump. Is he actually going to win this thing? My response each time was a confident No. But despite my confidence, people there weren’t so sure. Everyone I talked to thought Trump could win. Social stigma disappears in the booth, they said. People are angry. People want change. No one thought Brexit would happen, and then people voted, and then it did. The same will happen across the pond, mate. Donald Trump is our next President. No one knows anything. I’m a firm believer that educating yourself on the basics of investing, personal finance, and retirement saving is one of the most important things you can do in your twenties. A working knowledge of this stuff can have a big pay-off in the form of your standard of living, your financial freedom, and your general sanity. Unfortunately, it’s not taught in school. It’s on us to learn it and apply it. OK – to start, there are few main investment vehicles you can use to save for retirement: a 401(k), a Roth 401(k), a normal IRA, and a Roth IRA. All of these are useful because they grow your investments tax-free, meaning you don’t pay taxes on any earnings or dividends. Once you sign up for your company’s 401(k) plan, you’ll have a list of stocks or mutual funds to pick from. Each company’s plan is different – some have 10 choices, some have 100. The funds you choose are entirely up to you (you can put everything in one fund, or in five different funds, whatever you want), but there are certain things to be wary of (namely, fees) that we’ll tackle later. The money in a 401(k) sits there for a very long time, and it will grow with each paycheck and with each rise in the market. Sometimes it will fall, like in 2008 when the stock market halved. But there’s no need to worry about the daily, or even yearly, moves in the market, because you can’t touch the money* in your 401(k) until you’re 59 1/2 years old. And, thankfully, 40-year market returns are pretty great (the market has risen 2,100% since 1976). *Well, this isn’t entirely true. You are allowed to withdraw funds from your 401(k) early (usually in an emergency), but you have to pay a 10% penalty, in addition to taxes. A 401(k) offers lots of great benefits (employer match, tax-free growth), but there’s a limit of how much you can put into it each year. For 2016, that’s $18,000. If, for some reason, you accidentally contribute more than $18,000, you have until tax time (April) to withdraw the excess and set everything straight (or else you pay a penalty). Some employers also offer a Roth 401(k). It’s very similar a normal 401(k) – a small portion of your paycheck gets set aside for retirement, but it’s taken out post-tax instead of pre-tax. So you pay tax on it now instead of later. A traditional IRA is an individual retirement account that you have outside of work. It’s similar to a 401(k) in that you contribute your money on a pre-tax basis, so you don’t pay tax on it until you withdraw funds down the road. Most of the major banks and financial institutions offer some sort of IRA. A Roth IRA is like an IRA, but your contributions are post-tax instead of pre-tax. In other words, you can contribute your ‘take-home pay’ to a Roth IRA, and since you’ve already paid tax on it, you can withdraw funds tax-free. The two things to be aware of with a Roth IRA – the maximum you can contribute is $5,500 per year, and you can’t contribute if you make more than $132,000. Personally, I have a 401(k) through my job and a Roth IRA (with Fidelity) on the side. Start now. In the world of saving and investing, the most precious resource you have is not smarts or analysis or research. It’s time. The power of compound interest over a thirty or forty year period is amazing. Save $10,000 a year from age 22 to 30, and then I stop and never save another dime for retirement. Guess who ends up with more money at age 60? Me! Even though I saved $220,000 less than you did. No one ever seems to believe me, so then I load up Microsoft Excel, input the numbers, show them the data, grab ’em by the shoulders and shake ’em, and stare intimately into their eyes until they finally start to understand. This is something that isn’t taught, and unfortunately a lot of people don’t fully appreciate the power of time until it’s far too late. So what I would say is: start now, contribute what you can to your retirement accounts (start at 5%, and go from there), and your future self will be quite happy. He or she exists, and you will soon become that person. Unless something terrible happens. Don’t die. Do not invest in individual stocks. This is just my own personal philosophy, but I don’t think you should invest in individual stocks in your retirement accounts. Why? Because you’re not touching that money for forty years, bub, and a lot of companies aren’t going to be around in forty years. Instead, I would recommend a mutual fund that closely tracks the broad US stock market. A mutual fund, by the way, is just a collection of stocks (and/or bonds), so you hedge yourself against the failure of a single company. In other words, don’t put all of your eggs in one basket. That’s not to say that you shouldn’t invest in individual stocks. By all means, go crazy! Just don’t do it in your retirement accounts, please. Also, stock-picking is a tricky thing. Most stock-pickers don’t beat the market. The one exception is my friend Eddy Elfenbein, who routinely beats the market, and spoke with me about it two years ago. Watch out for fees. OK, great, you realize that investing is important and you’re committed to setting aside $10,000 every year until you retire in forty years. On average, let’s say your investments increase by 8% annually over the next forty years, which is actually lower than the long-term average. You pay, on average, a 0.25% fee on your investments. In forty years, you’ll have $2,613,971.03. Now let’s say you invest that same $10,000, over the same forty year period, in the same kind of funds, so on average you’re still getting 8% per year. But the funds you chose charge 1.25%, not 0.25%. In forty years, you’ll have $1,998,500.80. In other words, a 1% higher fee will eat 25% of your total investment value. It doesn’t sound right, but I’ve done the math and the people who are selling these things hope you haven’t. Fees are absolutely debilitating over the life of your investments, which is why the majority of your investments should be in low-cost funds, ideally 0.50% or less. * Companies justify their higher fees by saying they produce higher returns, but that is categorically untrue. But don’t take my word for it. Read this or this or this or this or this or this or this. *But the fee shouldn’t be 0%. You SHOULD be paying a small fee for all of the things a mutual fund can do for you – re-balancing, tracking the market, hedging against the failures of an individual stock, creating tax advantages, and (hopefully) giving you a nice safety net when all is said and done. Think of a mutual fund as a product. The more expensive one’s, generally called ‘active funds’, will have lots of smart people looking at lots of data to try to maximize the performance of the fund. The idea is that you, as the consumer, will be rewarded, in the form of a superior return, for paying a higher fee. You pay more to get more. The less expensive funds, called ‘passive funds’, will contain a bunch of stocks that mimic the direction of the Dow Jones or S&P 500 Index or perhaps another sector. Passive funds are not actively managed, and they are built for the long haul. It’s a ‘set it and forget it’ strategy. If the market does well, then great, so do you. If the market doesn’t do well, then neither do you. Again, the problem with the first strategy is that it’s really hard to beat the market. In the last year, 90% of US equity funds failed to do so. Every now and then, a fund like Peter Lynch’s Magellan Fund will come around, which averaged a 29.2% annual return from 1977-1990 and had the best 20-year return of any mutual fund ever. But these are rare. The real danger with fees is that they aren’t very transparent, and you’re not actively paying the fee when you withdraw your money. Fees are baked into a fund’s NAV (net average value), or the share price of the fund. So you never see exactly how much you’re paying in fees. All funds are, of course, required to disclose their fees, but they’re not required to tell you. Thankfully, things like Google and Yahoo Finance exist, so they’re pretty easy to look up. OK, so I understand that compound interest is amazing and fees are awful, plus all of the other stuff you said. So what should I specifically invest in, smartypants? An example of a low-cost mutual fund that tracks the S&P 500 is the Vanguard Total Return Index (VFIAX), which recently celebrated its 40th anniversary. The Vanguard Total Return Index is pretty boring. It tracks the broad US stock market. It has an expense ratio of 0.05%. It holds some winners and some losers – it’s not loaded with tech start-ups in Silicon Valley, or emerging markets like China or India, or whatever the hottest trend is of the day. Nope, it just trudges along, facing strong headwinds here and there like recessions and wars and inflation and panics. But the fund rewards patience. It has a cumulative total return of 6,091%, or 10.86% annually. Not every 401(k) plan will offer Vanguard funds, but thankfully it’s far from the only low-cost mutual fund out there. There are hundreds of them now. Fidelity offers one (FSTVX) with an expense ratio of 0.045%. Vanguard, by the way, has become the single most influential force in the asset management industry. It’s been estimated that the firm has saved investors approximately $1 trillion in unnecessary fees over the years. Got it? Good…wait…what…oh God what else do you want? This all sounds great, but I don’t really want my money to track the stock market, because market volatility gives me severe diarrhea and I’m worried Trump will become President and everything will go to hell. That’s a valid concern. Some people don’t want to take on the added risk of investing their hard-earned money in the stock market. Market crashes happen every few years, and they’ll happen again. * It’s completely understandable if you’re scared of the stock market, though I’ll mention that historically, the market provides the best returns of any investment vehicle – more than real estate, more than bonds, more than CD’s, more than beanie babies, more than my baseball card collection, all of it. *Not just because of macroeconomic events or terrorism, but because of anything. Just recently, the market dipped 20% because of ebola (remember that?). Who knows what the next 40 years will bring! I’m guessing: climate change, solar flares, super virus, alien invasion, and robots who don’t listen to directions. If you want to avoid diarrhea, I would recommend allocating part of your retirement funds (say, 40%) to bonds or other fixed income products. You’ll take on less risk (yay! ), but you’ll probably see lower returns over a long period of time (boo!). That’s how the game works. And then as you get closer to retirement, you should start shifting more and more of your money into fixed income products. When you’re 65, a guaranteed rate of return (even if it’s lower) will be more important than the whimsies of the stock market. Start investing as early as you can. Take advantage of your company’s 401(k) plan. Invest in simple, low-cost mutual funds that track the broad US stock market. Or invest part of your portfolio in bonds, if you’re more risk-averse. Continue to make contributions, regularly, for the next four decades or so. Also, try not to lose your job. All of this advice is very specific to someone my age – mid-twenties, out of school, working full-time. If you’re older, it’s a different story. If you’re in debt, it’s a different story. If you’re saving for your kids’ college, it’s a different story. If you have any specific questions, or would like some further elaboration, feel free to email me or comment below. As always, I try to deliver high-quality content, and I hope this fits the bill. Have a great day. Tonight is the first night of the World Series. It’s in Cleveland. I visited Cleveland back in 2013, as part of a road trip to Minnesota. 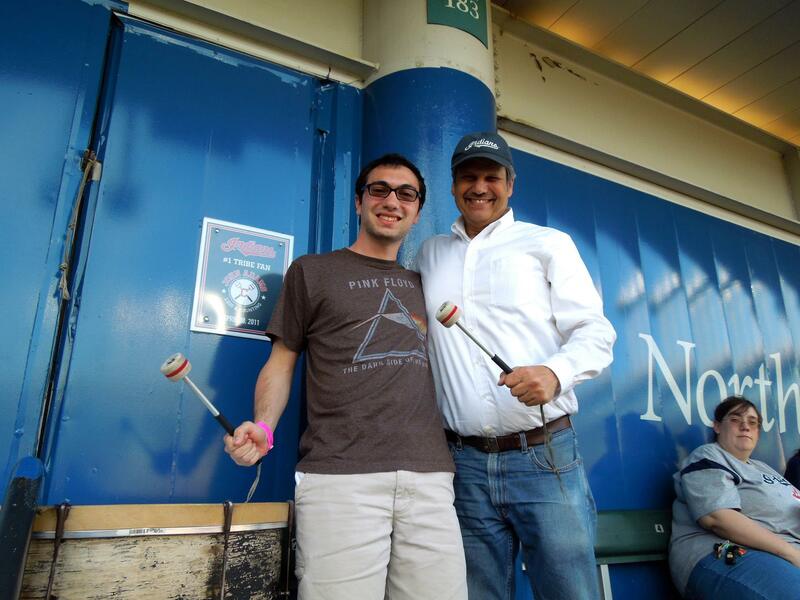 One of my fondest memories from that trip was a conversation I had with John Adams, the guy who sits high atop the left field bleachers and bangs a drum. You can usually hear it on the broadcasts. He’s been a staple of Indians games since 1973. John’s an incredibly nice guy, and we talked about a lot of things. At one point I asked him what his favorite memory of this park was. He’s never seen the Indians win a World Series – in fact, they haven’t won since 1948, the year after baseball integrated. But they did reach two of them in the 1990’s. He said: My favorite memory was right before the first pitch of the 1995 World Series. The energy of the crowd was amazing. The Indians hadn’t reached the World Series in over 40 years. I banged the drum, and everyone went wild. It was the only show in town. Tonight Cleveland returns to the World Series. *Ironically enough, it’s not the only show in town tonight. The Cavaliers open up their season right across the street at Quicken Loans Arena. They’re raising their own championship banner. On Creating stuff. I’ve said this before, and it’s the unofficial motto of this blog. Dare to be pointless. The stuff you do, and the stuff you create, doesn’t need to have a point. All that matters is that you enjoy it and find it interesting. Hopefully others do too. On making decisions. Be pragmatic. Ask questions. Listen to your gut. On being a decent human. There’s a lot that goes into being a decent human. Helping others, being kind, listening. I try to do all of that, but here is my guiding principle: maintain optimism as a default setting. There is nothing that turns me off more than negativity. It is my least favorite quality. And it does seem like it’s getting worse, that more and more people are turning to pessimism and cynicism in how they look at the world. Perhaps we’ve convinced ourselves that negativity and outrage will somehow lead to positive change, either in our own lives, or in the world at large. But that usually doesn’t work. At least not in my experience. I don’t think it helps that we have continuous and unrelenting cycles of manufactured negativity – the news, social media, higher expectations, Donald Trump, whatever. I think it is harder now to be a positive person. It takes more work. But negativity doesn’t feel good. It’s just easy. Optimism is my default setting because I believe in the fundamental goodness of people. There are also a tremendous amount of things to be optimistic about. That’s not to discount the problems we have – climate change, nuclear weapons, cancer, and about 681,357 other things. But it turns out that humans are very good at solving problems. So far, we’ve done a pretty good job at avoiding the apocalypse, and I imagine that will continue for some time to come. Now, of course, there are times when I’m negative. This whole optimism as a default setting thing is a work in progress. As a result of being human, I have times where I’m down, where I’m cynical, where I question people’s intentions and wonder if things are getting worse. But I try to maintain optimism. I remind myself of it every day. It’s why I talk to really interesting people and travel and try to imagine others complexly and with empathy. I think back to that word sonder, the idea that everyone has a story and is living a life as vivid and complex as your own. That helps. 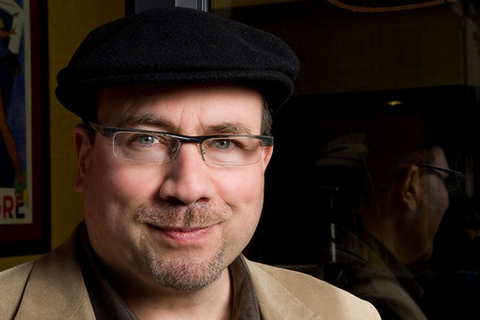 Below is an interview I did with Craig Newmark, founder of craigslist (as it turns out, there is a Craig, and he’s very real). 1. Craig is 63 years old, lives in San Francisco, and happily describes himself as a full-blown nerd. In college, he studied computer science, then worked for IBM, GM, Bank of America, and Charles Schwab until the late 1990s when he started craigslist. At the time, he just wanted to post about social events in San Francisco. Then it expanded to other classified categories. Now it’s one of the ten most-visited English language web platforms on the planet. 2. Craig no longer runs the company, but he remains active as a customer service representative. He responds to emails personally and deals with spammers. Seriously! He also operates Craigconnects, which publicizes charitable organizations. He also tweets a lot – you can follow him here. 3. Craigslist’s main source of revenue is paid job ads in select American cities. They don’t run ads the way most other sites do, so they don’t make much money (or as much as you would expect from a top 10 website). CEO Jim Buckmaster told Wall Street analysts that craigslist has little interest in maximizing profit, and instead prefers to help users find cars, apartments, jobs and dates. 4. Craig is, uh, a socially awkward guy. I guess we’re all awkward in our own special ways, but Craig has written and talked about it publicly. In 2009, he wrote: Whenever I hear the symptoms associated with Asperger’s, they feel uncomfortably familiar. In my case, let’s say my capacity for social behavior is a bit limited, and it’s a good thing my work is mostly in front of a screen. 5. And perhaps because of that, he gives famously short answers. Read any interview, and you’ll see that his responses are rarely more than a sentence or two. This one is no different. And with that – Craig Newmark, welcome to the blog. Craig, you’ve said before that you built craigslist “with no vision whatsoever.” You never had a business plan, never had a grand vision for the company, and yet it has turned into one of the most significant and widely-used sites on the web. How did this happen? Jim continues on this tradition, since 2000. What was the biggest challenge about starting craigslist? And what is craigslist’s biggest challenge today? No real challenge, since it didn’t occur to me that I was starting anything other than a hobby. You’re famously modest – or as you say it, realistic. You’ve described craigslist as a community service. You don’t advertise on the site – you’ve never ‘sold out’, so you don’t generate the type of money that other top websites do. It’s such a unique and admirable approach – other than Wikipedia, I can’t think of another top website that operates like that. You don’t focus on growth, so much as you focus on keeping a good thing going. Where did this approach come from, and why is it so important to you? Also including a sense of commitment. Where do you get your news? And given that there are so many media sources, how do you find ‘the good stuff’? Many sources, maybe thirty RSS feeds, similar number of podcasts. Also, regularly read Washington Post, NY Times, etc., and listen to public radio. I was perusing your Twitter (you tweet a lot), and it’s clear that you are very passionate about politics. There is so much about this election that makes me want to crawl into a hole, but the main issue I have is that there seems to be a complete disregard for facts. I’m talking about Trump, specifically. Anyway, part of me views this election with complete and utter shock at who we’ve become as a people. But part of me also wants to believe that the majority of us are good and reasonable and intelligent and in the end things will be fine. What do you think? You’ve written openly about how you can identify with Asperger’s. Whenever I hear the symptoms associated with Asperger’s, they feel uncomfortably familiar. You’ve also said that your capacity for social behavior is a bit limited. How do you feel about this today? Is it something you think about? As an old-school nerd, I have little instinct for social norms or convention. Nowadays, I can simulate social skills, maybe as long as ninety minutes at a time. You’ve done a number of public appearances – interviews on TV, podcasts, a TED talk. Do you enjoy talking about yourself and your company? Do you hate it? Is it nerve-wracking? Exciting? Scary? Awesome? Unnatural? Diarrhea-inducing? All the above? I like talking about the stuff I believe in, because that helps promote the people who are effective in such areas, and because I’m proud of what I’ve accomplished. And finally, I don’t know if you’ve noticed this, but some people like to brag about how little sleep they get. I find this abhorrent. Sleep is good, and I like to get a lot of it. In a few sentences, please describe your thoughts on sleep. I don’t sleep as soundly as I should. Might need to ask Arianna.